Dr Lam is Co-founder and former Chief Executive Officer of ASM Pacific Technology Limited. 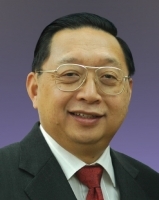 He was named as one of Asia’s Top 10 Electronics Company Executives by the Electronic Business Asia Magazine in 1994. Dr Lam is also an ardent supporter of higher education, particularly in the area of research and development. He retired in 2006 and has since devoted most of his time to voluntary work.